Ganache is a French word used for a delectable chocolate and cream combination used for icing, glaze, filling, sauce, and truffles. It is very easy to make and will elicit groans of pure enjoyment from anyone who eats your ganache filled or covered cake. Place the chopped chocolate into a medium stainless steel bowl. Heat the whipping cream in a small pan over medium-high heat until it comes just to a boil. Be careful not to let it boil over because ​the burnt cream is very difficult to scour off stove elements! When the whipping cream has come to a boil pour it slowly over the finely chopped chocolate and let stand for about 10 minutes. Whisk the chocolate cream mixture until it is very smooth and there are no chocolate chunks left. Whisk in the vanilla extract if you are using. You can also use orange, almond, coffee or any other flavoring you desire to get the correct flavor profile for your ganache. Allow the chocolate ganache to cool slightly before pouring it slowly over your cake. 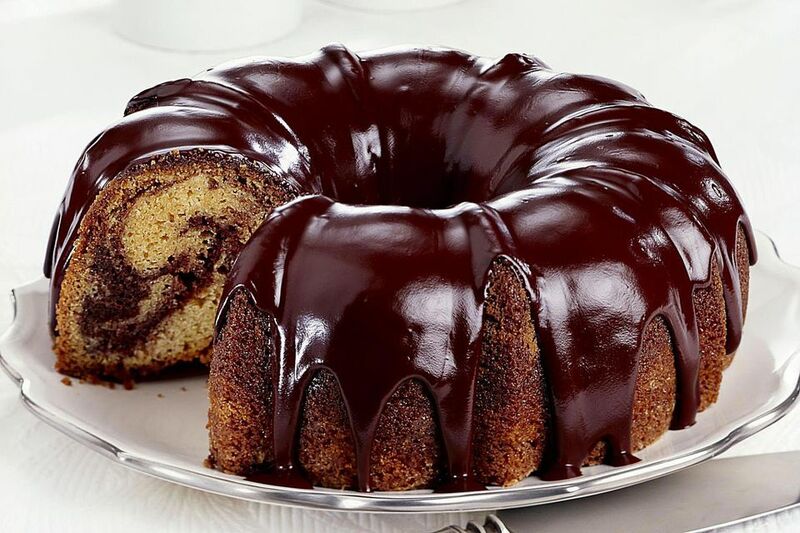 Always start pouring the ganache in the center of the cake and work your way outward. If your ganache gets too thick to pour smoothly place the bowl over lightly simmering water to create a viscous product again taking care not to scorch it. If you want a fluffier icing for your project you can also allow the ganache to cool completely until it is thick and then beat with a hand mixer or whisk until it is light and fluffy. The color will be lighter than if you left it alone so use a very dark chocolate if you need a darker hue after whipping the ganache. If you want to use the ganache for truffles you can use less cream in proportion to your chocolate. A frosting consistency or ganache you can pour has a one to one ratio of chocolate to cream. So use one to three-quarters or one to one-half for truffles. There are very few ingredients in ganache so do not use inferior products when making this delectable filling and icing. Fine quality chocolate is an absolute must so look for Callebaut, Lindt & Spugli, Valrhona, Ghirardelli or Michel Cluizel for a truly exceptional texture and taste in your finished product. Also, purchase the freshest cream possible and pure flavoring extracts. Some cake designers like to melt the chocolate before pouring on the cream but this is not necessary if you chop the chocolate very fine. Don't microwave the chocolate is you can use another method because the margin for error in using the microwave for this task is pretty small. Scorched chocolate is not a great result for this recipe! You can store finished ganache in the fridge for up to two weeks if it is in an airtight container. To use simply allow it to come back to room temperature and then whisk or beat it for icing or gently heat it over a water bath if you wish to pour it. If you end up with too much ganache for your project you can store the excess and then scoop out truffles from the hardened chocolate mixture to use on another decorating project. You can make ganache out of semi-sweet, milk and white chocolate as well as dark chocolate. Simply add a little less cream to the white or milk chocolate because it is softer to begin with. Try pouring in half the cream at first and then slowly adjusting the consistency after you have whisked the chocolate and cream together. You can use different flavorings for these other chocolates as well such as mint or rum for milk chocolate and banana or coconut for the white chocolate.